The Cherokee was first previewed by Jeep in February 2013, shortly after the brand released three newly designed versions of its popular vehicles, the Jeep Compass, Jeep Patriot, and Jeep Grand Cherokee. Polarizing to purists and newcomers alike, the Cherokee is the best-driving small Jeep. Solid, not light, with good on-road dynamics, the Cherokee offers 2.4-liter four-cylinder and 3.2-liter V-6 engines (the V-6 is better for all-wheel drive and towing) and a nine-speed automatic for highway cruising. Jeep is nothing if not tough. The brand originated from the vehicle that helped the Allies win World War II, and its modern-day customers gather by the thousands every year to spend Easter weekend driving through the desert outside Moab, Utah. The Jeep Cherokee can be equipped with three different four-wheel drive systems: Active Drive I, Active Drive II, and Active Drive Lock. All of these systems come with Jeep's Select-Terrain traction control system and rear-axle disconnect feature. 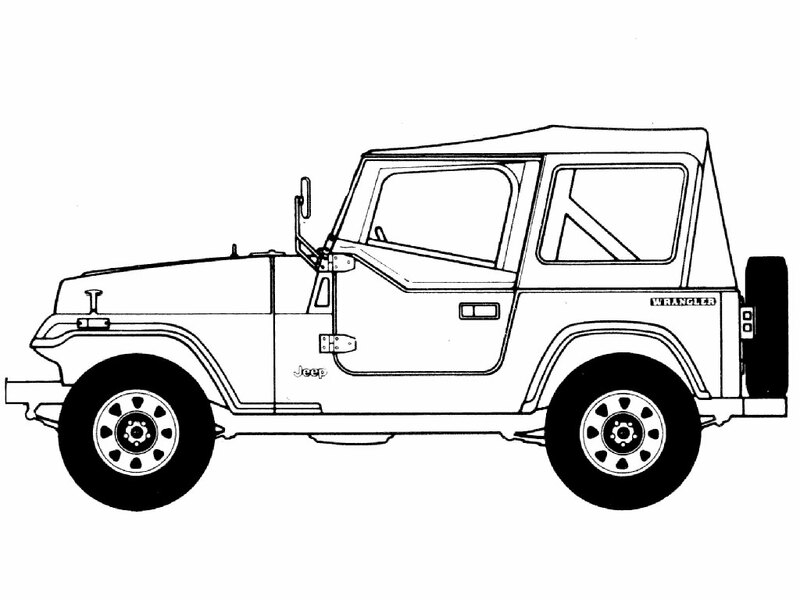 Downloads Jeep Cherokee coloring pages free for your kids daily coloring activities, download and let them color one of the tough car in the world.